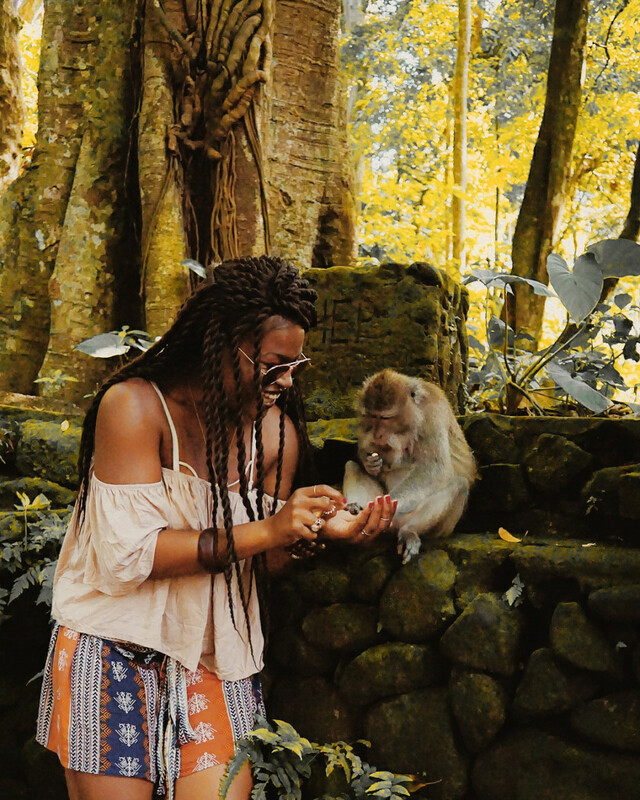 Bali — the one destination that’s either on everyone’s mind or everyone’s bucket lists. It is simply too magical of an island to not be desired by so many around the world. There’s also no shortage of beauty, bliss, and beaches on Indonesia’s most popular island. Crowds flock here year-round from every corner of the world, most notoriously, Australia, as it’s right in their “backyard”. 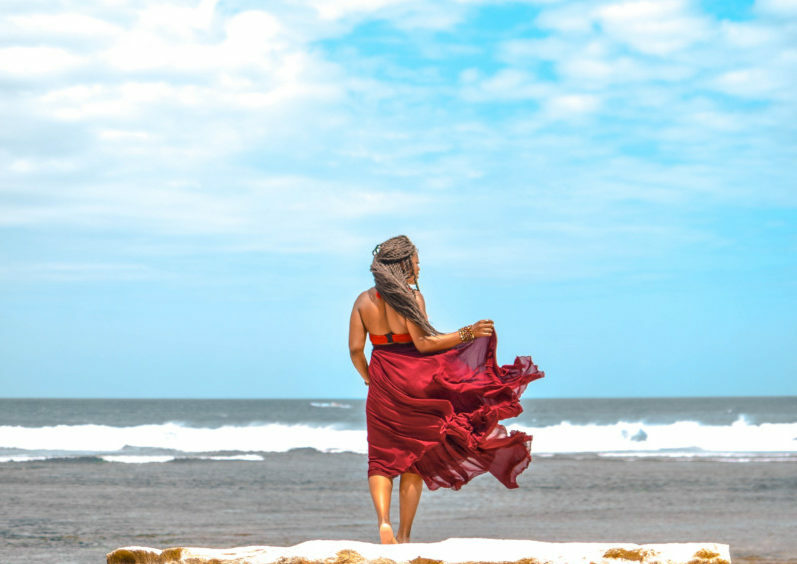 And everyone comes to Bali on a journey to find something — to seek and discover the secret moments, times, and places that we keep long after journeys end. And whether you’re moved on a spiritual or physical level, you can’t deny the shift. Enjoy this quick compilation of my journey, captured through the eyes of Dakota Adan. And if you’re someone like me who has yet to read the book or watch the movie, then you really don’t need to have crap fiction to compare it to. While I’ve had the ultimate privilege of exploring this magical island for the last 3 months, I’ve mapped out the perfect photo and destination guide that highlights incredible photo spots, the best of Balinese luxury accommodation, and some tips to make sure your experience is as magical as possible. 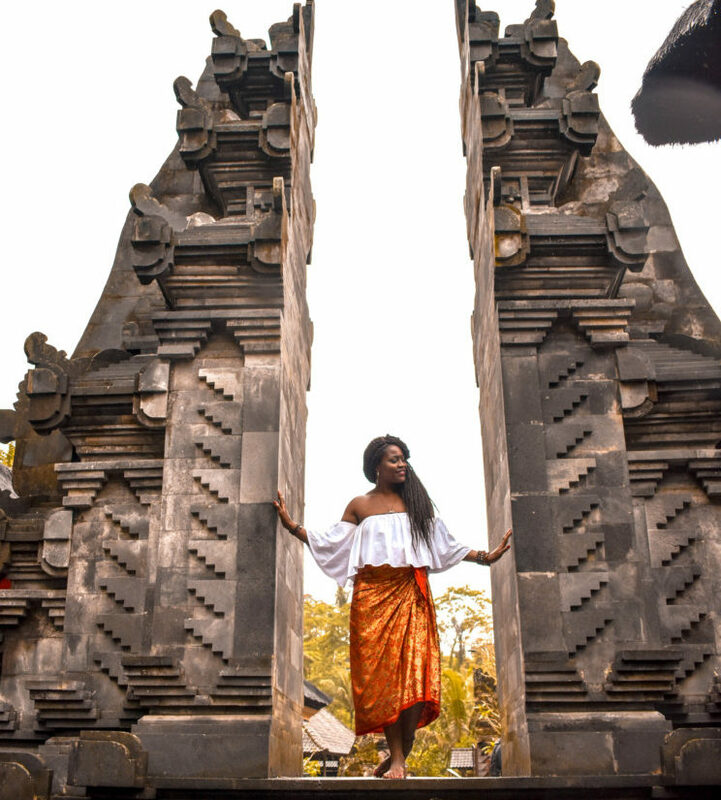 I had the absolute honor of spending a week touring Bali with my friend Dakota, an insanely talented filmmaker from LA and the voice behind TheTigerMap.com. Together, we combined our forces and collaborated with Asia Collective to help us make the perfect itinerary and highlight the best of this island. Learning the currency conversion before you land will make life infinitely easier as cash is king and you’ll find yourself on the haggling end for everything from food to taxis to clothes. I use the Currency app on my Android, which you can find both in the Apple and Google Play store for free. These are conversion rates as of October 2017. 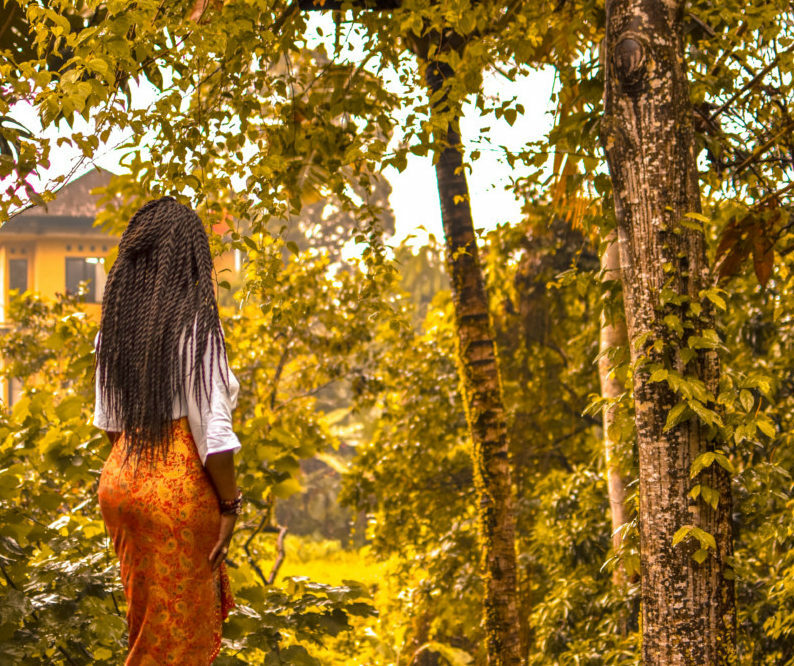 The easiest way to heighten your experience in a new destination is to learn a few phrases in the local language beforehand. In Indonesia, they speak Bahasa Indonesia, but if you want to go a step further and really squeeze the hearts of locals, learn Balinese. 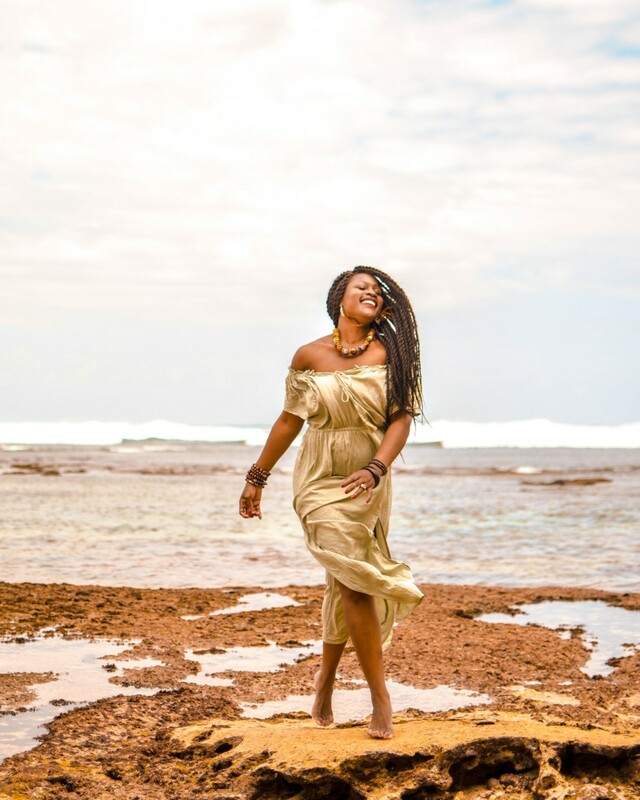 This is the local language of the island, and they will not only love the fact that you’re learning their island language, but you will catch them off guard and be met with the warmest smiles. Matur suksma is more than just a “thank you”. It’s said with intention, with deep respect, and with genuine gratitude. You can truly feel a sense of pride by the locals when you choose to use this one over terimah kasih. When booking your flight, you’ll want to fly into Denpasar (DPS), which is towards the southern tip of the island. Be sure to pick up a SIM card at the airport, unless you have an international data plan like me (yay, T-mobile)! Having internet/data in Bali is so crucial and another one of those things that just make life easier. If your phone is unlocked, you can get a whole 15GB for under $7. I love using XL Axiata when I want faster speeds in my backup phone. Having data is also super crucial for when you need to book ubers. But probably the most efficient way to get around is through renting your own motorbike for only $4 USD per day. But if you’re too chicken to brave those crazy streets like me, then you can use Uber, Bluebird, Grab, or Go-Jek, all have apps you should download before arriving. And keep in mind that all of those except Bluebird will be banned in a lot of areas around Bali, so you can expect drivers to call you immediately after you book to double check on your destination and make sure it’s an area they’re allowed to drive in. Like many countries, the local taxi drivers hate any form of organized transportation because they’re unable to rip off unsuspecting tourists who will unknowingly pay $20 for a ride that costs $4 on Uber. Peak tourist season will be July and August, and when you’ll find the most Australians there who are escaping their own winter season back home. September and onward is a pretty chill time to be around, and honestly, the weather will be pretty much the same year round. There is really no cold weather in Bali. Only wet and dry season. It will rain more in Ubud than in Canggu, so even then, the weather will vary based on the city you’re in. 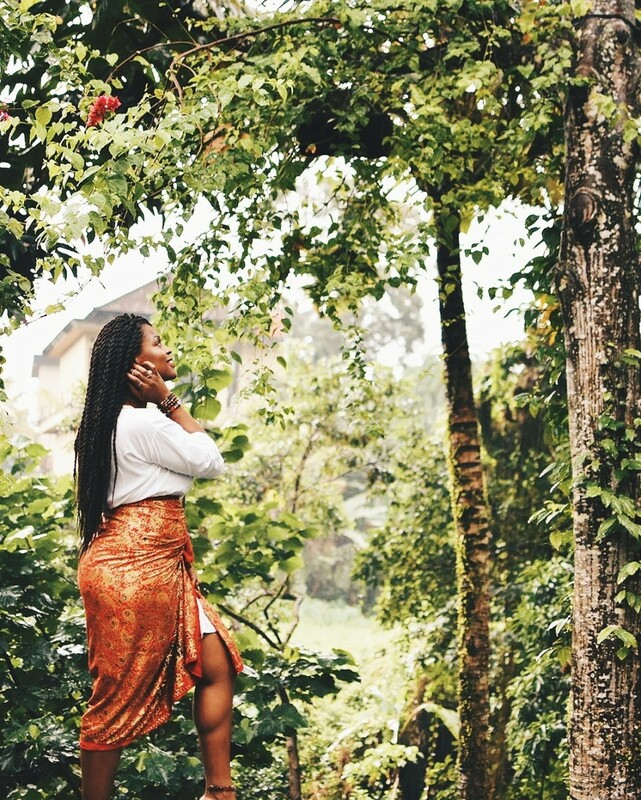 Ubud is right in the middle of the island and gets more rain than other cities, so keep that in mind too! Indonesia is a majority-Muslim country, but the island of Bali is majority-Hindu. You should try to dress conservatively around temples, but everywhere else you can wear whatever you want. Do keep in mind that there will be burning of incense around homes and buildings 3x a day, so don’t step on their flower offerings and enjoy the sweet aroma! 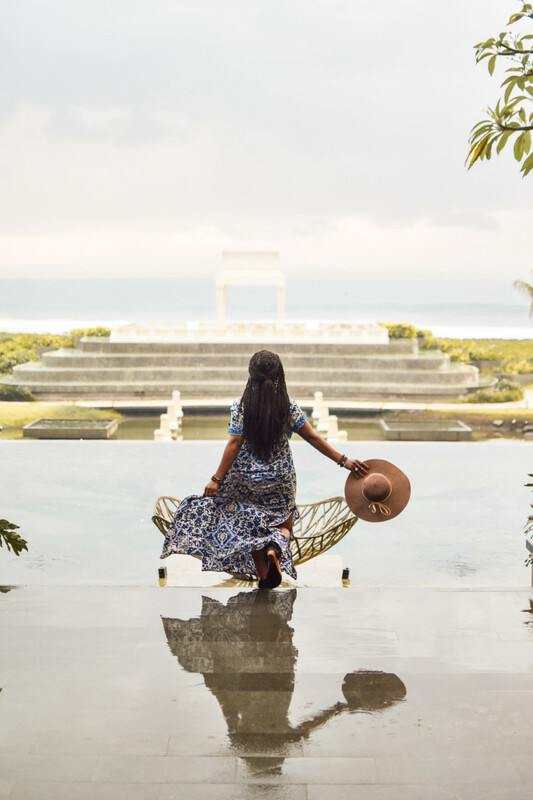 We couldn’t be happier to be teaming up with The Asia Collective, a catalog of curated dream getaways, to show you all the best of Bali’s luxury accommodation. They did an amazing job of spreading out our stays around the island so that we got to see the pristine beaches in the south, while capitalizing our time amongst the luscious, green jungle in the middle. Here’s a screenshot of our Google Maps itinerary which plotted out all the attractions we wanted to hit, in relation to where our accommodation was. 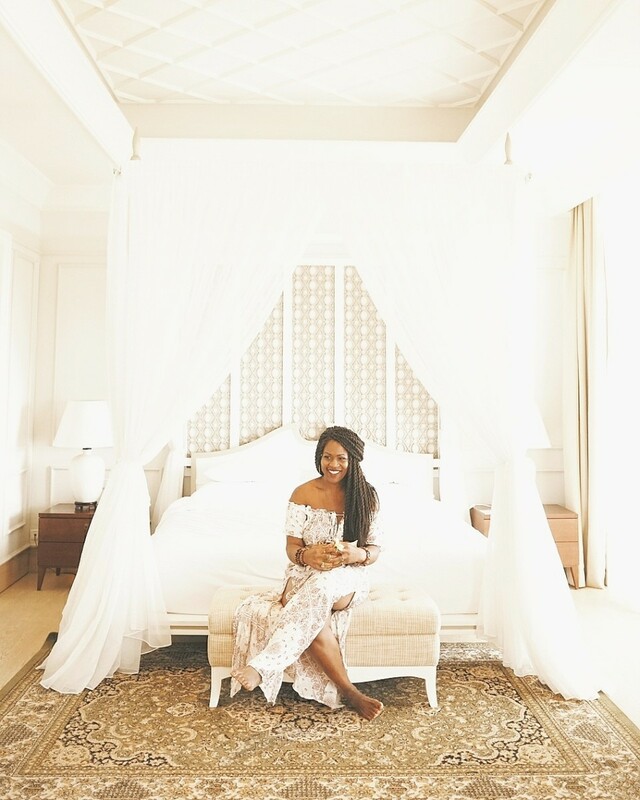 We jumped in a car and our driver took us the southernmost tip of the island where we were met with tranquil vibes in this secluded and magical villa called Hideaway Villas. What we loved most about this villa was its ample space, coziness, and modern touch. 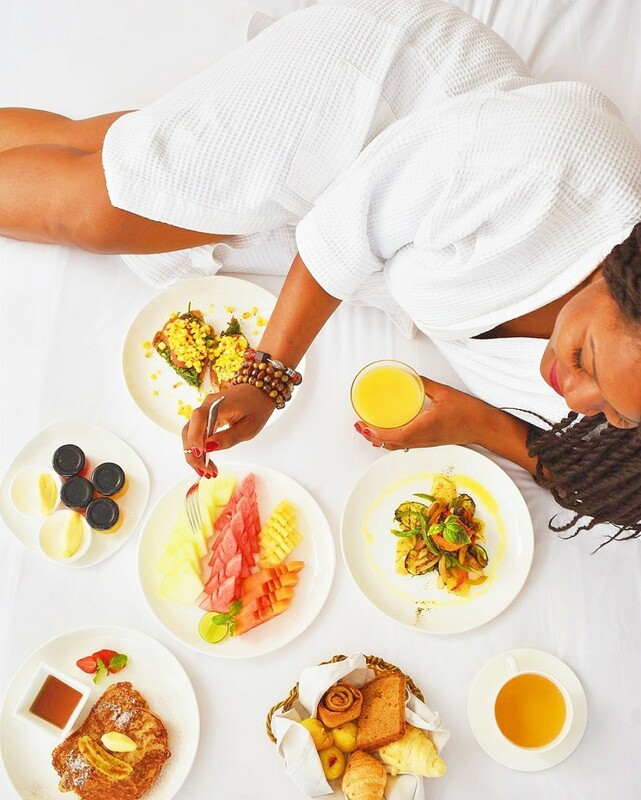 There were three of us, so we each had our own beds, a gorgeous and spacious sitting room and kitchen to hang around, and of course, the infinity pool that we enjoyed our breakfast by! This is a great place for a friends’ getaway or a small family vacation and I highly recommend it for those especially coming to see the gem that is Uluwatu. 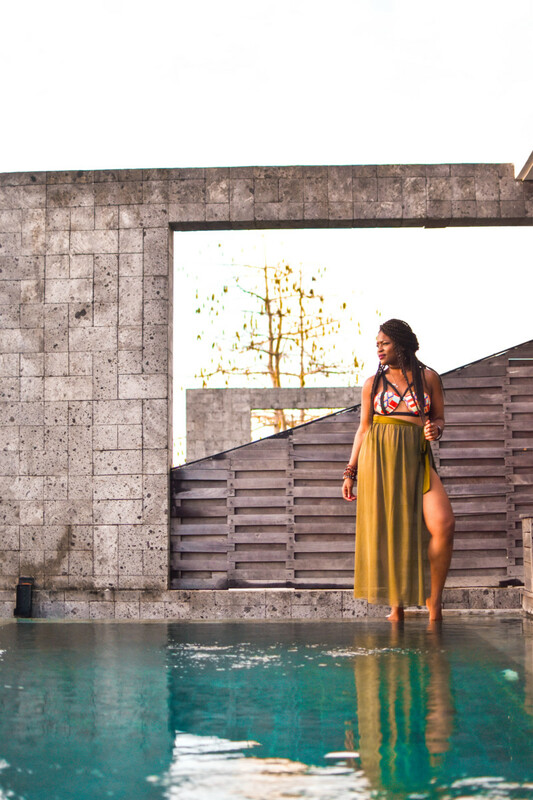 Click here to watch a mini-montage of our time at Hideaway Villas. Next up — UBUD! 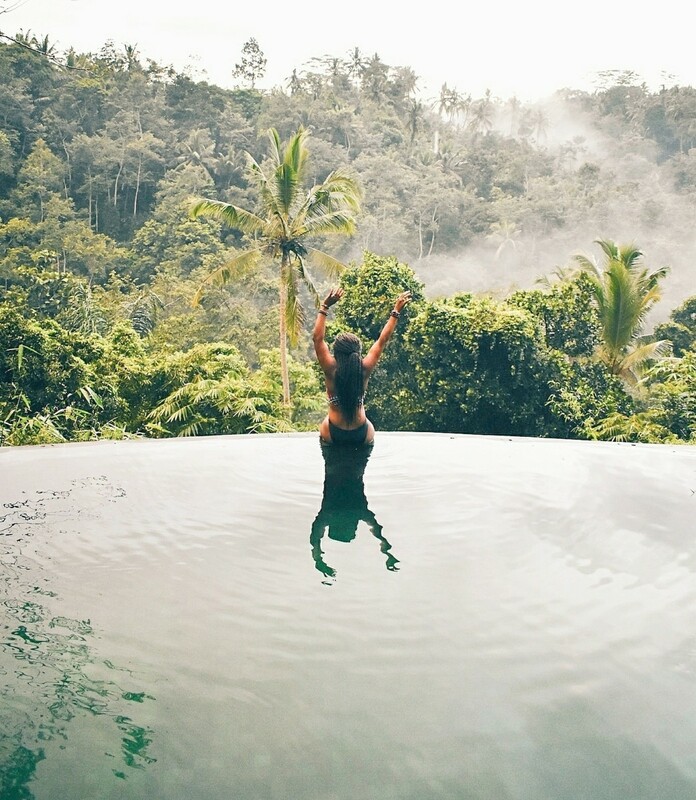 If you’ve ever seen those picture-perfect photos of Bali, chances are, they were shot in Ubud. 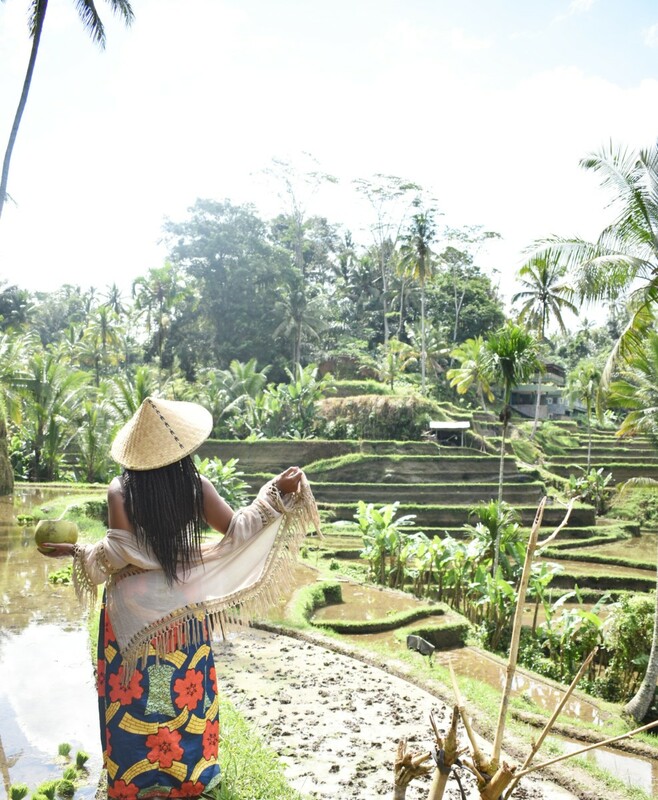 Ubud is classic Balinese beauty with the green rice terraces and jungle-forest feel at every turn. I was most excited to get my Tarzan (well, Jane) on and wrap my sarong around my waist and go trekking through the forest. Of course in theory, that all sounds great and dandy until a gecko threatens your life. Just kidding, not really. But there are many! They’re essentially harmless and take care of pesky bugs, so just co-existing (in their space, mind you) isn’t all that bad. 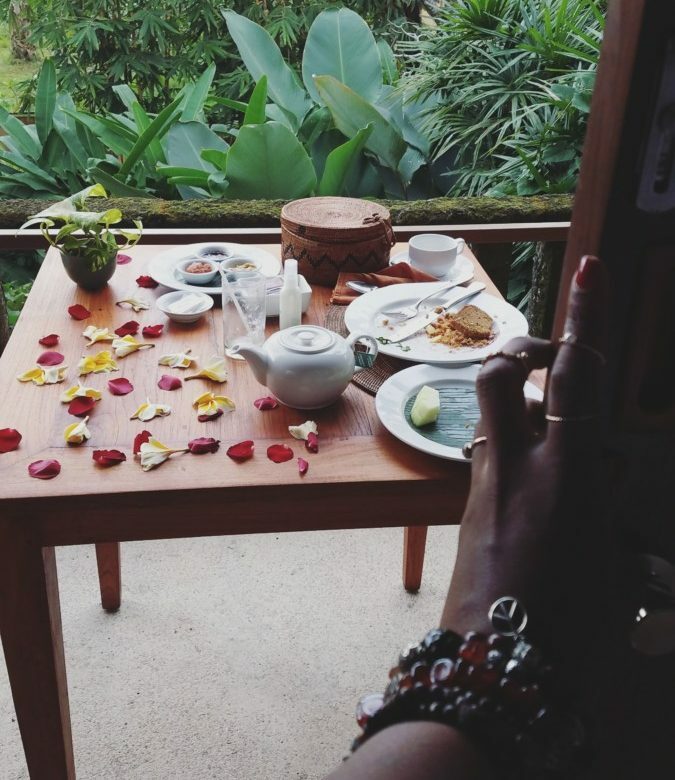 Imagine walking into your hotel room to see your bathtub already filled with roses, majestic Balinese music playing on the TV, and all the stresses of life disappearing in the same breath. That’s what walking into Komaneka at Monkey Forest felt like. We stayed at two separate branches of Komaneka Resorts, each experience catered to perfection, but unique in their own ways. Komaneka Monkey Forest also houses its own set of rice fields that overlooked our bedroom view. And check out our cozy balcony where we had breakfast. Dakota showing off his rose petal game here, haha. After checking out of Monkey Forest, we were on our way to Komaneka Tanggayuda which is easily one of Bali’s most luxurious properties. 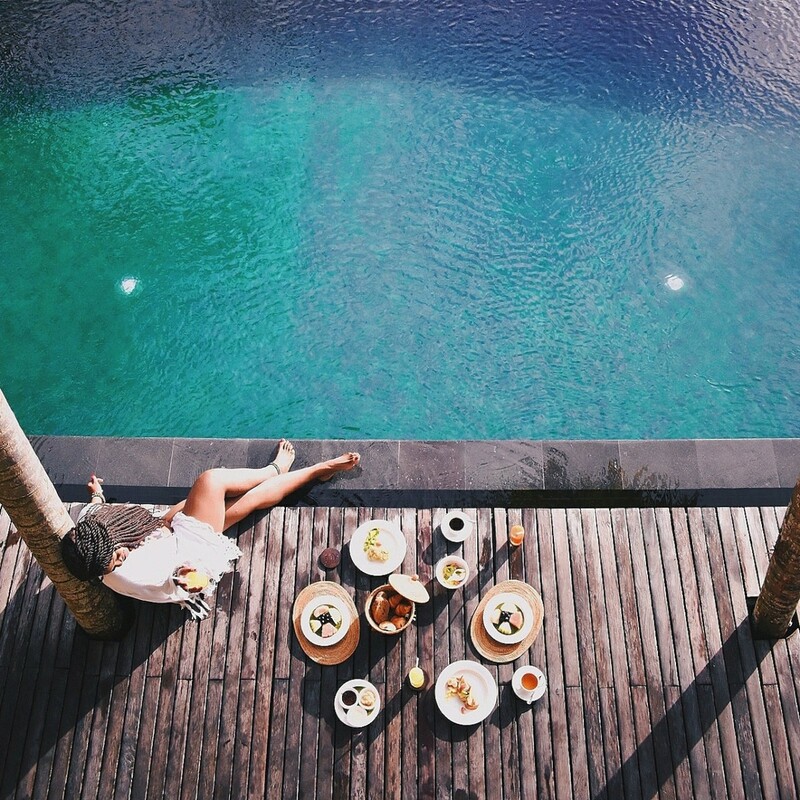 I’ve never seen a pool and hotel made to combine so much of Balinese culture with modern, luxurious architecture. You truly felt like you were an extension of nature, staying in the jungle, but far enough away from those “fun” little critters. If you want the [hashtag] #goals photo opportunity, then you simply MUST come here. I’m still drooling over these photos weeks later! Head to YouTube to check out Dakota’s mini montage of our stay at Komaneka Resorts here! Rumah Luwih is the most unique of the bunch, combining Asian culture with colonial architecture. You will walk in and wonder if you just stepped back in time as the lobby boasts this grandeur staircase, marble floors, and chandeliers fit for a king. A surfer’s paradise, you will find the beach just a few feet away where eager riders catch waves, tourists lounge by the pool, and workers are smiling and tending to your every need. Rumah Luwih is both stylish and elegant with its decor, offering impeccable attention to detail in their plush rooms. See our visual story of Rumah Luwih here! 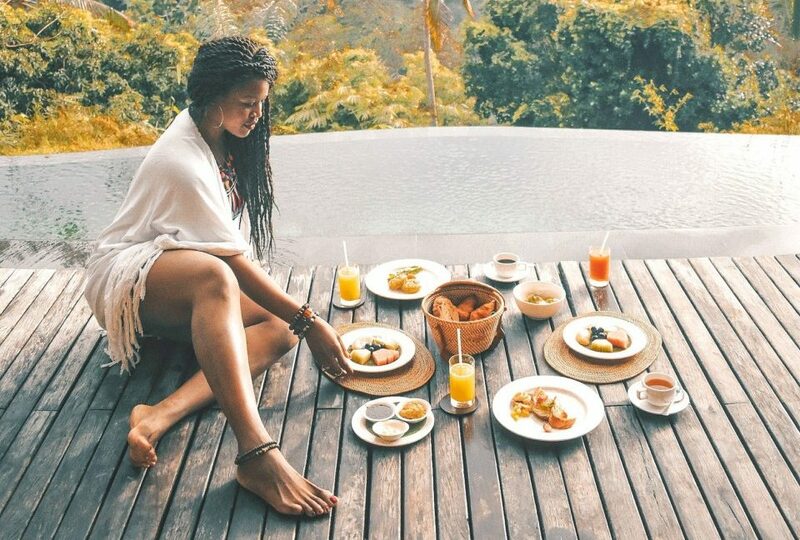 This is the picture-perfect Bali scenery that everyone pictures when they think of this island. Be sure to wake up early and try and go around 7AM so that you can beat the crowds! It gets most packed by noon, and keep your eye on the weather as rain will make it much more difficult to trek the muddier parts. To enter, keep walking along the road until you see a sign for a place called “Smiling Coffee” and enter through the stairs immediately next to it going downwards. That is where you’ll get the best views of the terrace with the easiest trekking. I feel bad for people who don’t know about this entrance as they trek the harder trails for half an hour and get to a part where it’s so muddy that they just turn around and miss the best view of the rice terrace! This entrance will get you within 15 minutes of the best view, as opposed to 30-45. Be sure to wear sturdy shoes or ones that you don’t mind getting muddy. If you want to get to better lookout points, you’re likely to get your shoes a little roughed up in the process. This has become one of the most iconic symbols of Bali, and ironically and anticlimactically, it’s just an entrance to a golf resort and nothing more. But it boasts one of the largest gates on the island and is truly a work of art to marvel and take pictures with. Because of its recent spike in popularity and distance from Ubud, try and motorbike here early in the morning and arrive before 9AM. Otherwise, you’ll find yourself in a long line of people anxiously waiting to get a solo shot and cars honking to get inside to drop guests off. While you’re marveling at the gates at Handara, not too far away is this cute little temple over water. I highly recommend renting the boats and paddling closer to the temple to truly appreciate its beauty and get the full experience. It costs about $3.50 USD to enter, but it’s 100% worth it, as you can walk around and explore the grounds of the temple and take in the scenery by the lake. My favorite waterfall in Bali is one of the least visited, or at least Tengenungan gets more of the shine for some reason. After you drive through the windy but beautiful streets towards the entrance, it’s only about a 10-minute trek to get to the bottom of the waterfall where you can appreciate its full beauty. I recommend going around sunset as people start clearing out around that time. So about 5PM you can expect to get the place to yourself, if not, shared with just a handful of other people who most likely will take a few minutes to get their shot and then leave. Other well-known waterfalls worth checking out if you have time: Gitgit Waterfall, Aling-Aling Waterfall, Sekumpul Waterfall, Fiji Waterfall, and Kanto Lampo Waterfall. Whew! 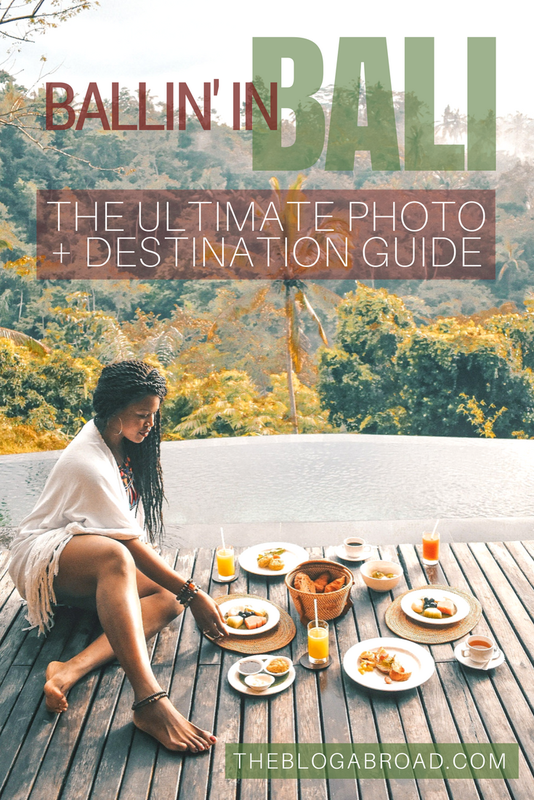 If you’ve made it to the end of this post, I hope you enjoyed this visual walkthrough highlighting the best of Bali! I’ve gotten the pleasure to call it “home” for a little over 3 months and no doubt it’ll be one of those places I’ll keep returning to. Any other tips to add to this list, drop them in the comments! And one last thank you to The Asia Collective and its partner hotels for helping us explore the best of Bali, and Dakota for being the saint he is and helping me capture so much of the beauty that mesmerizes all of us. Matur suksma, Bali!